Big cracks mar the appearance of the sidewalk at 10th Street and Asbury Avenue. Some of the damaged sidewalks in Ocean City’s downtown shopping district have little dips, depressions or jagged cracks. Some slope lazily toward the streets at odd angles, while others have an undulating appearance reminiscent of waves breaking on the shoreline. 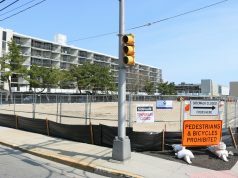 “Slip-and-fall-type lawsuits are fairly common both on the Boardwalk and downtown,” city spokesman Doug Bergen said. 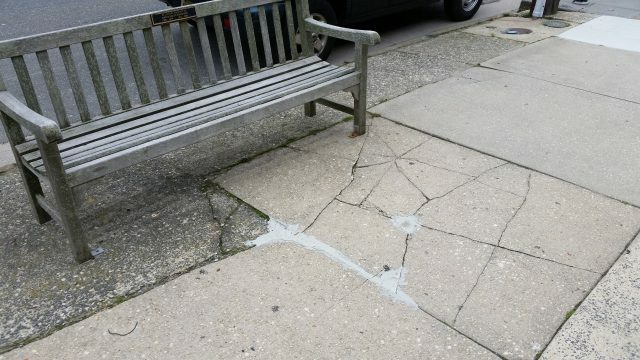 Hoping to make the downtown areas safer and more attractive, City Council is set to introduce an ordinance Thursday night to begin the process of repairing and rebuilding the old sidewalks along Asbury Avenue and other streets. 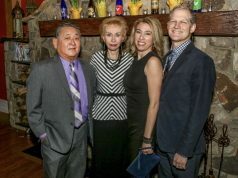 “It is in the best interests of the residents of Ocean City that the downtown sidewalks be made as safe as possible,” the proposed ordinance says. 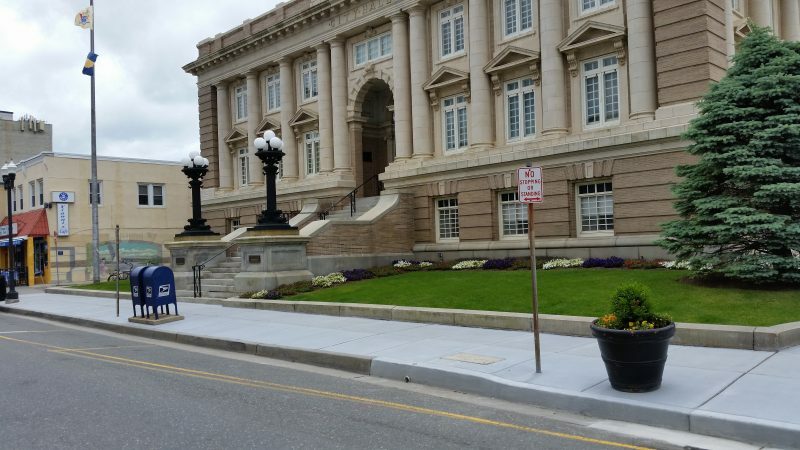 A newly built section of sidewalk in front of City Hall on Asbury Avenue will serve as a model for repairs downtown. At City Council’s 7 p.m. meeting Thursday, more details about the cost and construction schedule for the sidewalk project are expected to be released. The city blames the damaged sidewalks on decorative features that were required years ago, before the existing streetscaping standards were put in place. They include sections of redbrick trim, commonly known as pavers, incorporated within the sidewalks. Another culprit are small cutouts, or grates, along the edges of the sidewalks for shade trees. Decorative redbrick trim known as pavers and cutouts for shade trees are the types of designs the city no longer wants for downtown sidewalks. The ordinance will authorize the city to begin removing the pavers and tree grates. 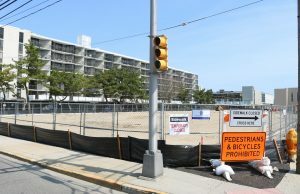 Bergen said a newly built section of concrete sidewalk in front of City Hall on Asbury Avenue will serve as a model for the downtown area. Currently, the downtown sidewalks have a hodgepodge appearance. Most of them are made of plain, utilitarian concrete. But other sections feature the fancier, redbrick pavers. Still others have a gray, slate-like look. The lack of uniformity dates to what the city is now calling “bygone ordinances” that once required the public and private sidewalks to be decorated with tree grates and pavers. Although they were coveted 20 years ago, the pavers and tree grates are now considered a hazard. 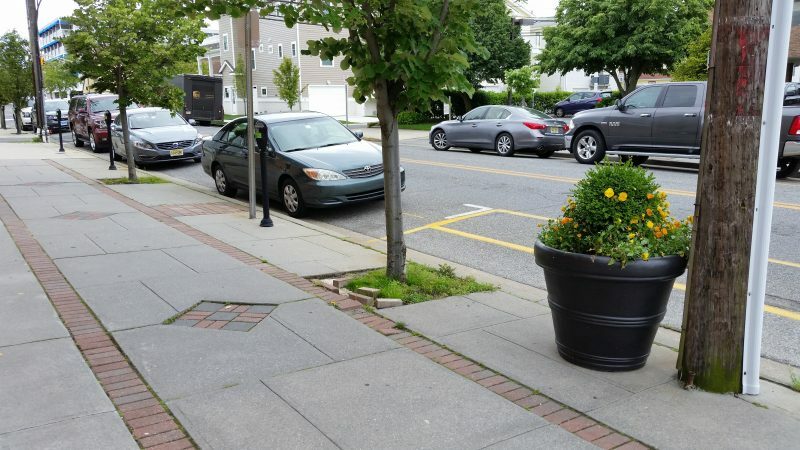 “City Council recognizes that removing the pavers and tree grates from these major pedestrian thoroughfares would improve their safety and convenience for all residents and visitors who have occasion to traverse them,” the proposed ordinance says. 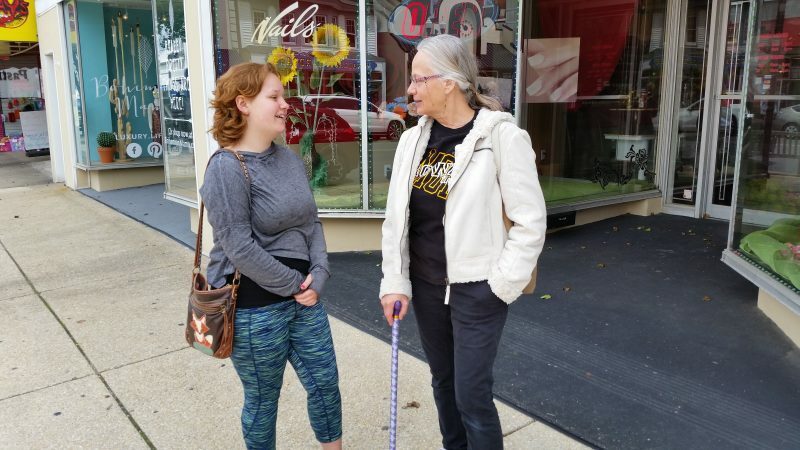 Two downtown shoppers, Rose Griscom and her daughter, Shannon Farrell, both of Ocean City, said they supported the idea of rebuilding the sidewalks as long as the cost wasn’t exorbitant and it didn’t take money away from other important city projects. “I think it would be nice to have aesthetic sidewalks,” Farrell said. Shannon Farrell, left, and her mother, Rose Griscom, both of Ocean City, support the plan for rebuilding old sidewalks. Griscom and Farrell said they have never tripped or fallen on the sidewalks, but they did notice the disparate designs while taking a stroll Wednesday afternoon along Asbury Avenue. “There are a lot of different textures. 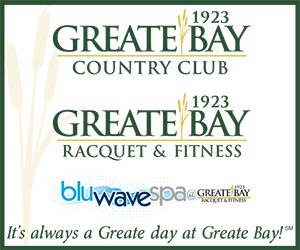 I could see it being a hazard for people,” Griscom said.